Twinsoft launch digital stamp cards based on the industry standard .pkass file format. The cards can be added and used in Apple Wallet & PassWallet. Stockholm, Sweden. November 2, 2015. Twinsoft adds digital stamp cards to its industry standard .pkpass file format based mobile pass and cards platform. There is no need for special mobile apps though the cards can be added and used in Apple Wallet & PassWallet. The stamp cards created can be used in both open and closed loop solutions with redemption in-house or via clearing houses using the ready APIs and integrations. A mobile stamp card is easily created and can be distributed using any channel like SMS/MMS, email, social media and billboards. Example of use is for coffee shops, lunch and fast food restaurants, car wash and hair dressers. A new free software scanner for easy and fast redemption is also launched. The Twinsoft analytics tool includes reporting and tracking of stamp cards, stamps end redeemed cards. “Now any business can use mobile stamp cards without the need of special development in existing or new apps. This opens marketing opportunities and a direct new communication channel to customers. We believe this add-on to our platform will lead to many interesting business opportunities to our customers and partners”, says Leif Nordqvist, CEO at Twinsoft. The Twinsoft digital stamp cards can also be used for online communication with users, for example auto updates, new offerings, information and push messages. Other mobile passes and cards that can be enabled using the Twinsoft platform is coupons and offers, loyalty and membership cards, gift card and vouchers, tickets and event invitations. The Twinsoft platform is based on Apple’s .pkpass file format, the widely accepted world mobile file format standard, now being effectively used on all mobile platforms. The platform includes all steps needed for doing all types of mobile marketing and campaigns. With the tool customers can create all types of mobile marketing deliverables, called mobile virtual cards, including coupons, loyalty and membership cards, gift cards and vouchers, invitations, tickets and stamp cards. Twinsoft is dedicated to offer best of breed mobile marketing and mobile communication services. Twinsoft deliver a life time management solution for the production and distribution of mobile coupons and passes beyond what is available in the market today. 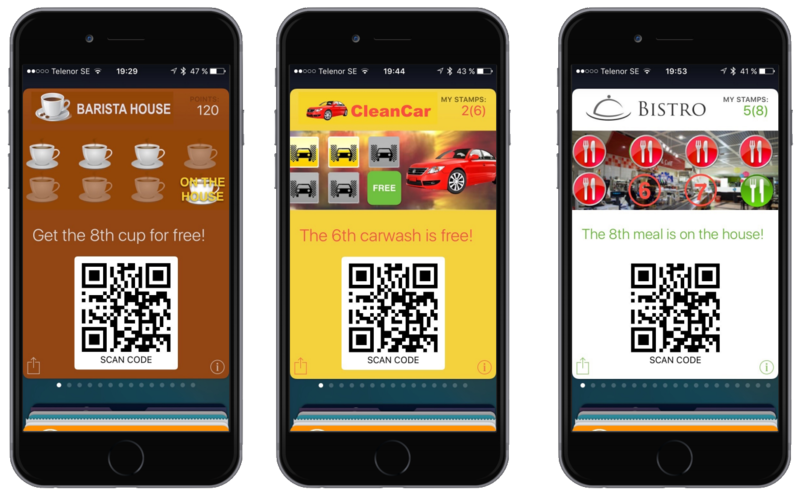 With the Twinsoft solution an enterprise can create mobile coupons, tickets, loyalty cards, business cards and all types of marketing communication messages and for all major mobile platforms. For more information, please visit www.twinsoft.se.